which is the usual <h2> element content at the bottom of the page. Not the answer you're looking for? Browse other questions tagged java spring-mvc spring-boot mockmvc spring-mvc-test or ask your own question. 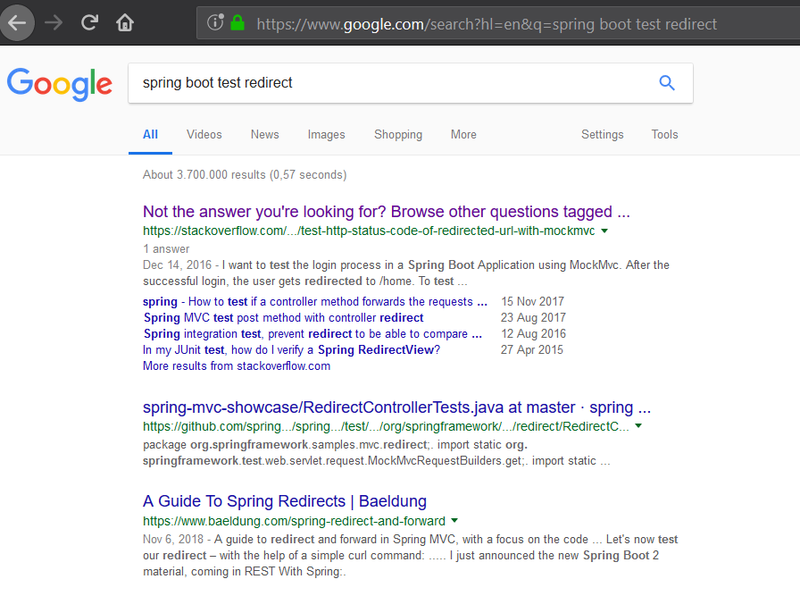 This makes Google believe that it is an actual section title on the page, and that title nicely matches your search criteria (“spring boot test redirect” – 3 out of 4 words) because it contains the question tags. Not the answer you're looking for? Browse other questions tagged bug seo .